There something about this time of year, with its early sunsets and long, dark nights, that lends itself to the reading of ghost stories. Huddled close to the fire with the wind howling outside, there is nothing more magical than enjoying a supernatural tale or two on a chilly evening. 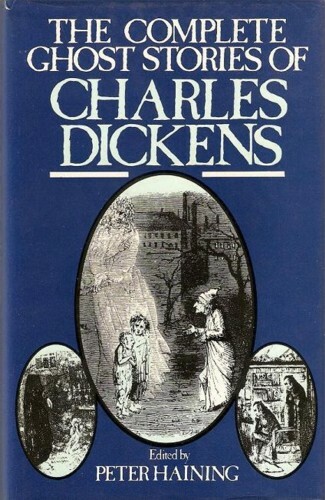 This winter I have been dipping into the ghost stories of Charles Dickens, and very good they are too. Everyone has heard of A Christmas Carol of course, with its assorted spooks and ghouls who teach the miserly Scrooge some important lessons about goodwill to all men. This all-time classic has inspired all sorts of films, plays and TV adaptations, and I never tire of reading the original. The edition of the stories that I have, which is entitled The Complete Ghost Stories of Charles Dickens, also features some lovely reproductions of the original Victorian illustrations. 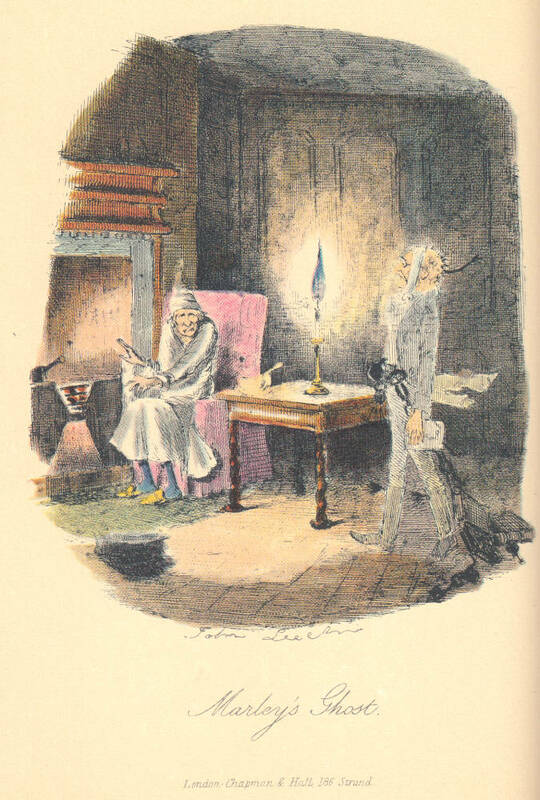 This famous image of Scrooge visited by Marley’s Ghost, drawn by John Leech in 1843, is particularly chilling. But there is more to Dickens’ ghost stories than just A Christmas Carol. The rest of the tales in this volume are a diverse bunch, a few of them a bit silly and fun, and some really rather scary. There is even another seasonal piece, the lesser known Christmas Ghosts, which includes a number of short vignettes featuring festive phantoms. Dickens himself was apparently rather sceptical when it came to things that go bump in the night, but that didn’t stop him from writing some fabulous stories on the subject. In fact, he is now recognised as one of the first authors to take the ghost story out of the of fantastical Gothic mansion of previous tales, and place it in a more recognisable domestic setting. It seems a bit strange that the festive season is now associated with ghost stories, but I am certainly not going to complain. While I love such paranormal yarns at any time of year, I enjoy them even more around the winter holidays. So if, like me, you enjoy a bit of a creepy Christmas, then check out the ghost stories of Charles Dickens – if you dare! 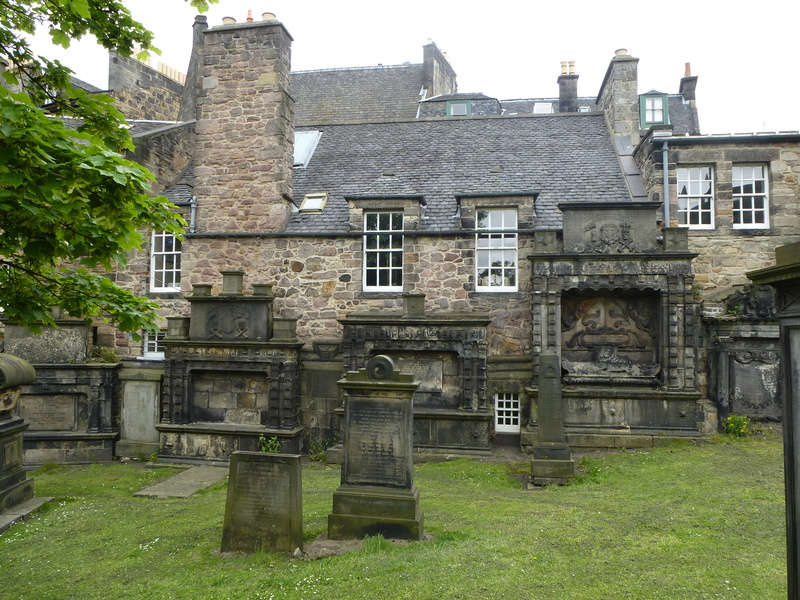 If there is one place you can be pretty sure of finding magic, it is in an old graveyard, and my visit to Greyfriar’s Kirkyard in Edinburgh this week certainly didn’t disappoint. The graveyard is situated on the edge of the city’s Old Town, and has been in use since the 16th Century, so there are lots of wonderful old tombs and carved stones to look at. 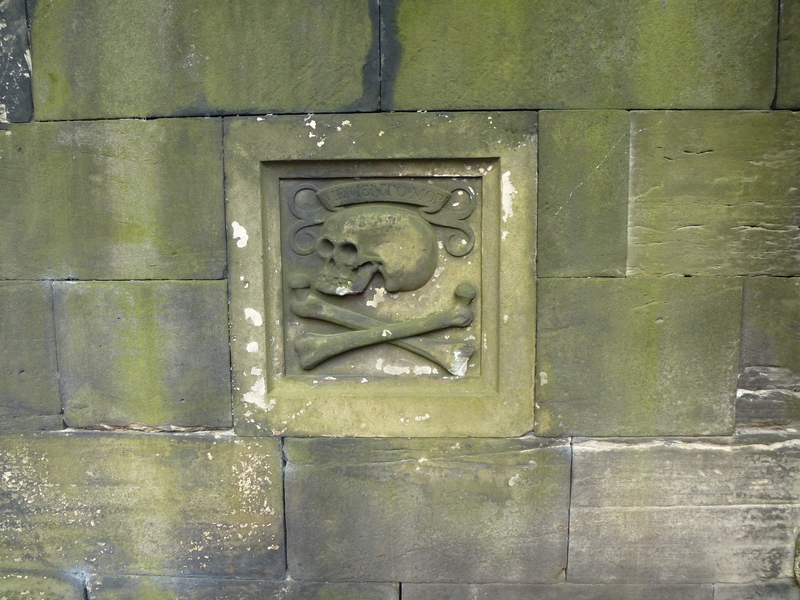 As I wandered around the graveyard, I noticed skulls and skeletons everywhere. A rather lively looking dancing skeleton welcomes you as you enter, and many of the tombs are decorated with carved Memento Mori, suitably macabre reminders of our own mortality. 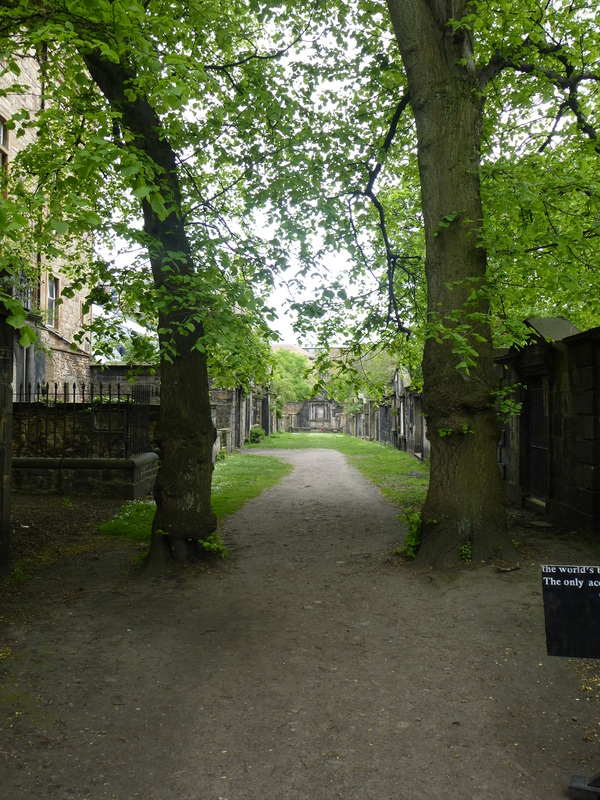 As well as being the last resting place of many of Scotland’s most prestigious citizens, the Kirkyard has also witnessed some dramatic events over the years. 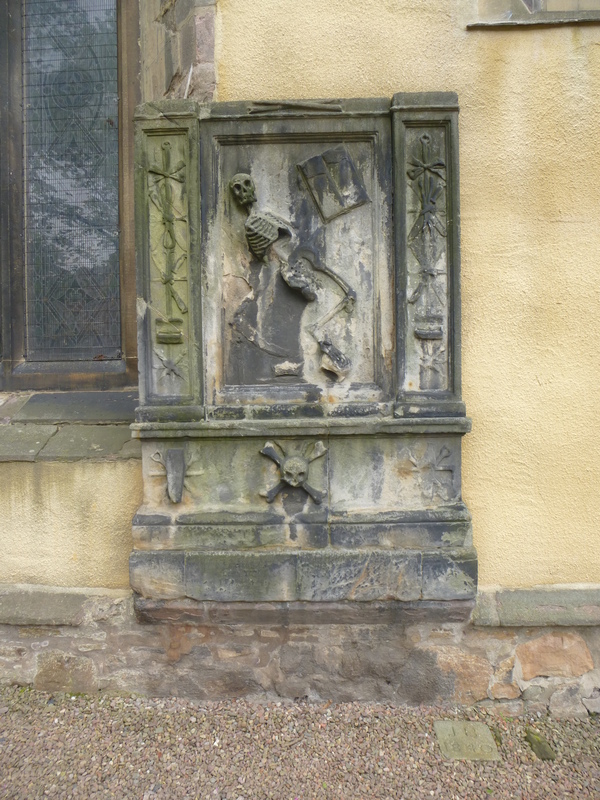 In 1679 over a thousand Covenanters, Scottish Christians who were battling for a new style of worship and church organisation, were kept prisoner in a corner of the graveyard. They were left out of doors for over four months, surviving on scraps of bread and any extra food which kindly locals were able to sneak in to them. Not surprisingly many died, and more were later executed, and the melancholy spot now bears a memorial to those who lost their lives in this atrocity. The tomb of the man largely responsible for these terrible events sits just a few yards away. 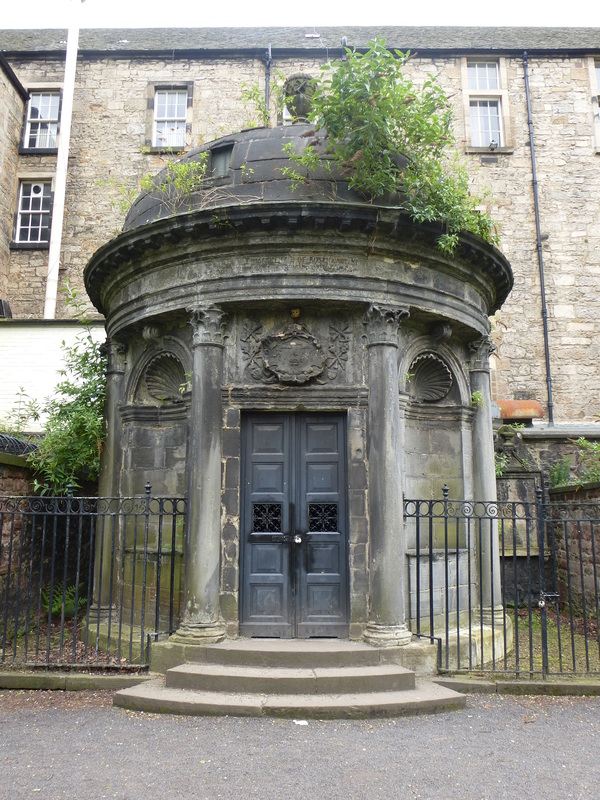 Sir George Mackenzie (1636-1691), later known as “Bloody Mackenzie” for obvious reasons, now rests in a rather grand, if slightly overgrown monument, designed by famous Scottish architect James Smith. People often marvel at the way that scent and smell can powerfully evoke long-submerged memories. The latest installation by interdisciplinary collective Public Interventions, entitled Phantom Railings, harnesses the similar properties of sound, creating a fun and rather magical experience in the process. Public Interventions are particularly interested in public spaces, how we perceive them and how we engage with them. 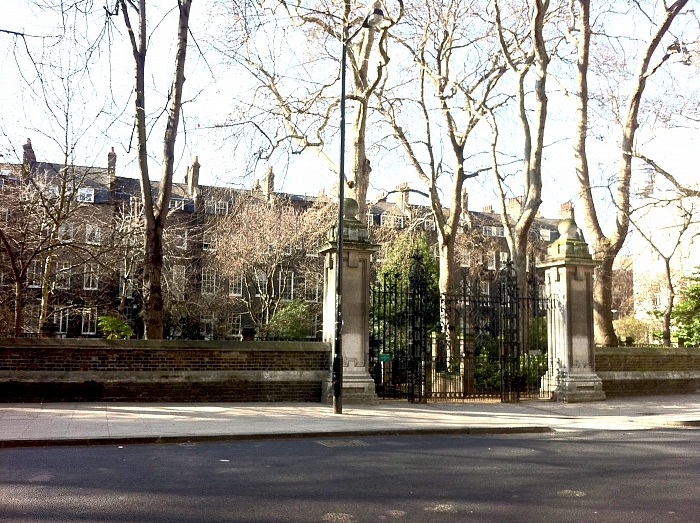 The gardens in London’s Malet Street were once bordered by iron railings, but like most similar fences in London, they were removed during the 1940’s to supply much needed metal for the war effort. Unlike many such fences, however, this one was never replaced, and remains today only as a line of low metal stumps along the top of a stone wall. Phantom Railings recreates this iron fence, but in an aural rather that visual way. 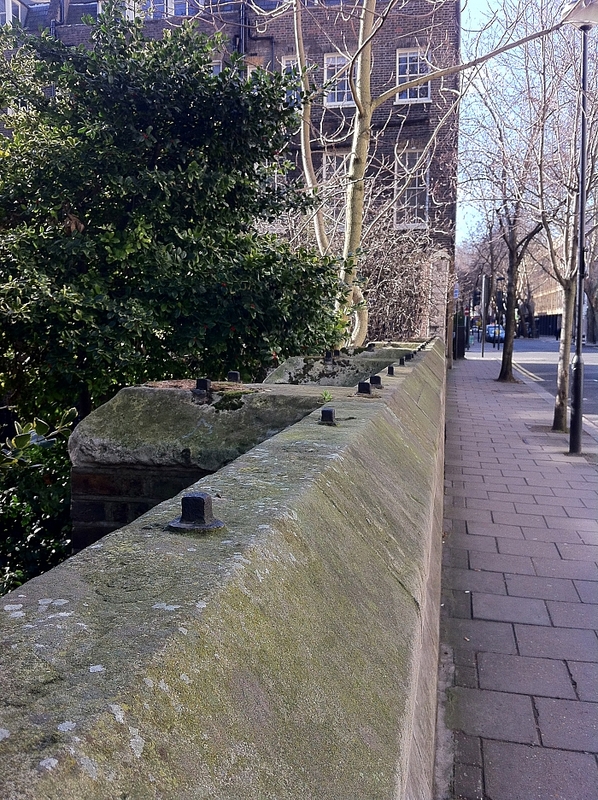 A set of sensor-based acoustic devices have been installed where the railings once stood. 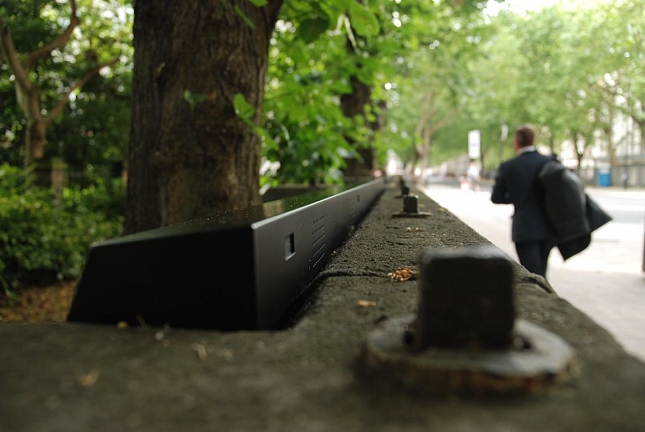 As passers-by walk past, these devices emit the clinking-clanking sounds of a stick being pulled along a fence, the sounds reacting to the speed of the pedestrian. The result is at first surprising, particularly to those who are not aware of the installation, but also intriguing. Watching the reaction of the public is fascinating too, some stopping and staring in wonder, many taking time to read the explanatory sign on the garden’s locked gates, others quickly getting the hang of it and running up and down with glad abandon, playing the Phantom Railings like a ghostly gamelan. Even when the pavement next to them are empty, the railings emit the odd clang or clong, waiting patiently for their next unsuspecting pedestrian. There’s something beautiful about the way this work tries to capture a sense of a lost past, taking an approach that is unique and challenging. The idea that inanimate objects can survive as ghosts is an appealing, if slightly chilling one. It’s rare to see an installation capture the imagination of so many, young and old, with Phantom Railing’s sense of fun proving hard to resist. For me, its sheer musicality is enough to make it an experience which raises a smile. Its only there until the 14th October, so get over to Malet Street soon if you want to form your own opinion on this thoughtful, absorbing and ultimately rather extraordinary installation.